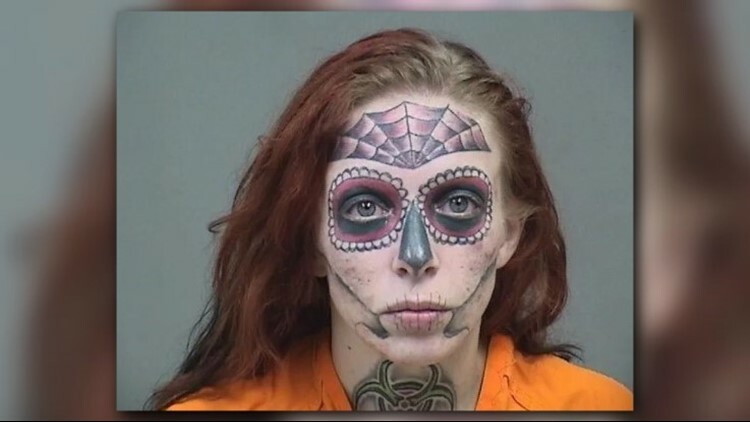 An Ohio woman with some unique facial tattoos faces new charges following an arrest. BOARDMAN TWP., Ohio - An woman with some unique facial tattoos is once again in a lot of trouble following another arrest in Ohio. Alyssa Zebrasky, 27, is now facing theft and multiple drug-related charges, WKYC reports. Police told CBS affiliate WKBN that Zebrasky attempted tried to shoplift from a Walmart store. Officers confronted her, and police say a search of the woman's purse uncovered a hypodermic needle and baggies containing what Zabrasky admitted was methamphetamine. After a few minutes, police say Zebrasky began to approach an officer claiming that she had a knife, asking him what he was going to do about it. Police say Zebrasky began to kick and pull away as they handcuffed her.